Website applications may require different PHP version as to which it is compatible with. There may be times that your website will not work because you are using the incorrect version. Please follow the instructions from this article on how change PHP version. Note: Please make sure that the version you are about to choose is compatible to all your websites under your hosting plan since all of them will be using the PHP version. Step 2. Click on Select PHP version under Software panel. Step 3. By default, the PHP version is native (5.5). Step 4. Select on the desired PHP version and click on Set as current button. Step 5. 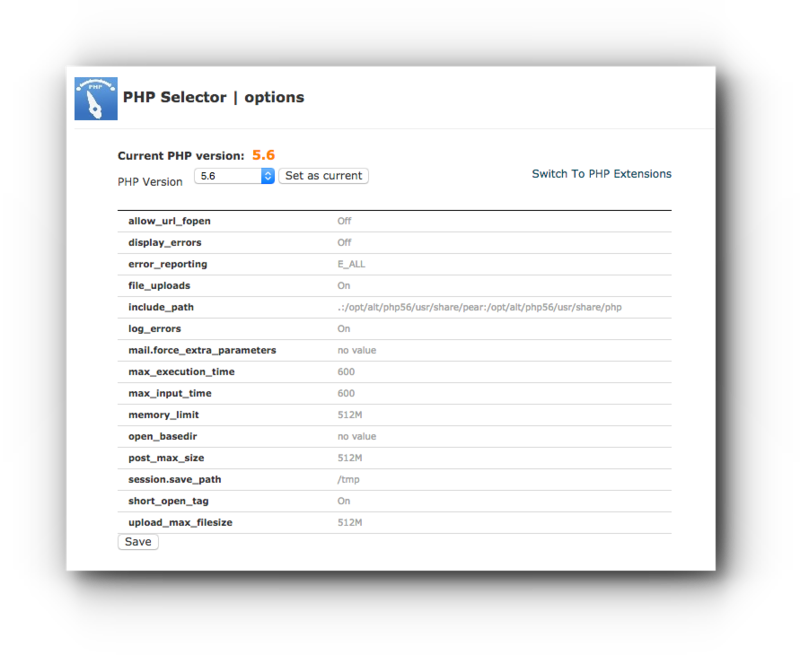 For more customized settings, click on Switch to PHP Options link. Step 6. Change all the necessary settings for your PHP. Step 7. Click on Save button to save the changes.